“When we were sitting at the stairs, they brought the stretcher and in that they took away the body (of Alberto Nisman). It was like 3.30 am. He was wrapped up in a black sack. They took him to the right but 15 minutes later they put him back again and took him to the left. ‘No silly, it is this way,’ they said laughing. And then, when they took him back in the apartment, I did not see where they took him out,” the witness explained as she also recalled having seen “dirty” sheets and cloths. Fernández also saw investigators handling the binders holding the documents Alberto Nisman had been working on, having mate and croissants at the crime scene, and aparently producing five gun shells. She was even offered coffee made on Nisman’s coffeemaker. 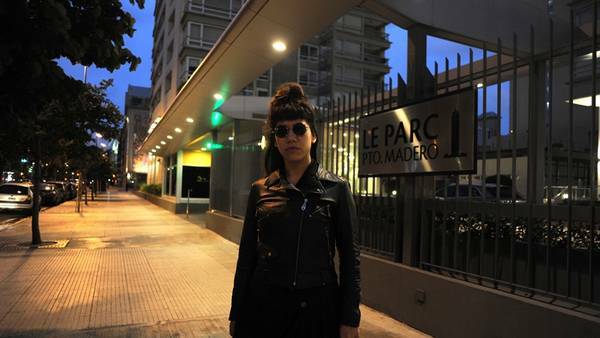 Fernandez fears for her safety, particularly now that the burnt body of an unidentified middle-aged woman was deposited across the street from Nisman’s apartment building.